The Vancouver Canucks’ Bo Horvat has emerged in the 2018-19 season as one of the best two-way centers in the NHL. In the wake of several key injuries this season, Horvat has elevated his play in multiple facets of the game. 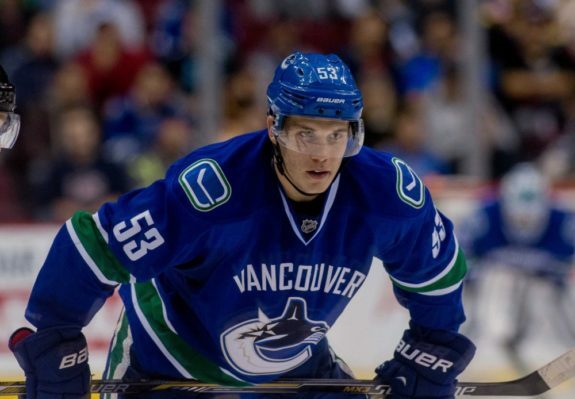 Coming into the season, Horvat was a heavy favourite to be named captain of the Canucks but the team elected to leave the position vacant — a move that I believe was done to push Horvat even further and propel him down the trajectory the organization needs him to be. Because of the team’s poor outing in November (2-9-3), all that Horvat did for the team was unfortunately overshadowed by negativity. Horvat’s versatility was on full display and he showed just how dominant he can be in all situations. Horvat is probably not getting enough credit for his season… different wingers every night, all of them non-elite, and he's flirting with a ppg and 30 goal pace.. He might not have the ‘C’ on his chest, but he is undeniably the leader of this youthful Canucks team. 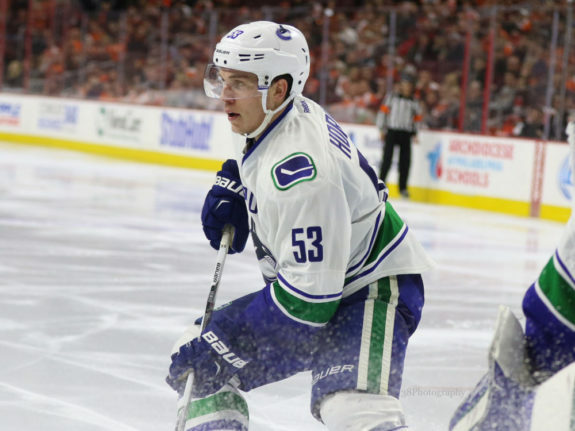 Sixty percent of the team’s goals have been scored by players under the age of 23 and with the talent of players like Brock Boeser, Elias Pettersson and Nikolay Goldobin being groomed for pure offensive output, Horvat is being put into a way more diverse role. As Blake Price pointed out in the tweet featured above, Horvat has not been playing with the young talent mentioned above but instead has been primarily skating with players like Antoine Roussel and Jake Virtanen, who would traditionally be the makings of a solid checking line. The temporary loss of his partner in crime, Sven Baertschi, has forced him into more of a ‘Johnny-on-the-spot’ type of a role. The Canucks’ bottom-two centers, Jay Beagle and Brandon Sutter, were among the many injured and Horvat stepped up to fill the void — he’s leading the NHL with the most faceoffs by a drastic amount — he’s currently posted at 812, while the second-most is sitting at 690. He has also won the most with 442 wins on the dot. This is a great thing for Horvat’s development. He’s being thrown onto the ice to faceoff against the best centers in the game in every situation, every single game — granted, his deployment has tapered off a little bit since the return of Jay Beagle. Despite Baertschi’s aforementioned absence and his scattered deployment, Horvat has still managed to contribute offensively better than ever before in his young career. The 23-year-old has found twine 14 times this season and helped out on an additional 14 in 32 games — impressively, 11 of his goals have come on the road. Horvat is one of the only players on the Canucks who I can say is firing on all cylinders at all times. Some guys might take a shift or two off, but not Horvat — he always seems to be among the fastest and most involved players out on the ice. You have to wonder if not putting the ‘C’ on his sweater was sending a message of sorts. “Boeser and Pettersson will be the offensive guns, now show us what you bring differently to the table.” If Horvat can be a perennial 25- to 35-goal guy from the second line while playing a strong defensive role, the Canucks will have constructed a contending NHL top-six. Of course, there is the unpopular theory that Horvat wasn’t given captaincy because of the coming draft. 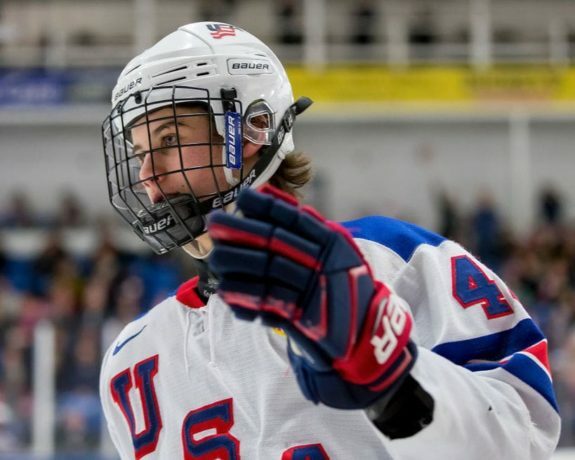 As we know, Jack Hughes is the big fish in the pond this time around and the thought of having both Jack and Quinn Hughes on the Canucks is pretty tantalizing. With the lottery system and the Canucks’ luck, I wouldn’t be too hopeful about the boys in blue and green getting that first pick. That’s where Horvat may come in. Trading for the first pick would require the movement of a big-time asset like Horvat and also an additional piece. The question is, would you rather have a one-two punch of Pettersson and Hughes or Pettersson and Horvat? Maybe Horvat caught wind of this theory because he came into this 2018-19 looking possessed. You could see it in preseason and you can most-certainly see it in the regular season. He’s not putting up the offensive flare as the guys on the top line, but he still looks like perhaps the best player on the ice game in and game out. His ability to interrupt a play defensively at one end and then jump into the rush offensively at the other is exactly what the Canucks need from the London, Ontario, product. Even from last season to this season, you can really notice a difference in his game. He is no longer relied on for the offensive heavy lifting and it’s resulting in a better offensive game from him — he has found that perfect role of a two-way, second-line center. This season is going to prove to be one of the most pivotal in Horvat’s career. The more diverse role, immense faceoff responsibility and lessened offensive expectations of this season will all factor into Horvat’s growth, which will be great. Next season, Horvat will be given the ‘C’ and he will not be traded away for Jack Hughes. As this season progresses, we will see exactly why Horvat should be in the conversation of the best centers in the NHL and then next season, we could see, dare I say it, an even better Bo Horvat. Following this season, I believe Horvat will be a perennial 30-goal scorer and season-by-season continue to develop his defensive game until he is eventually in the Selke Trophy realm. What do you think about Horvat and his 2018-19 season? Do you like his deployment? Is he here for the long-haul? Let me know in the comments down below!